the areas you need to work on. and get to your goals! no matter what fitness approach you’re using! with details charts and updated graphing! and see yourself like never before in zoom mode! Do a scan before you begin your weight loss or fitness journey, then again after you've reached your goal! Do a scan when you begin your weight loss journey, then once weekly until you've reached your goal! Schedule a scan once a month on the way to slowly and steadily reaching your goal to keep you motivated! 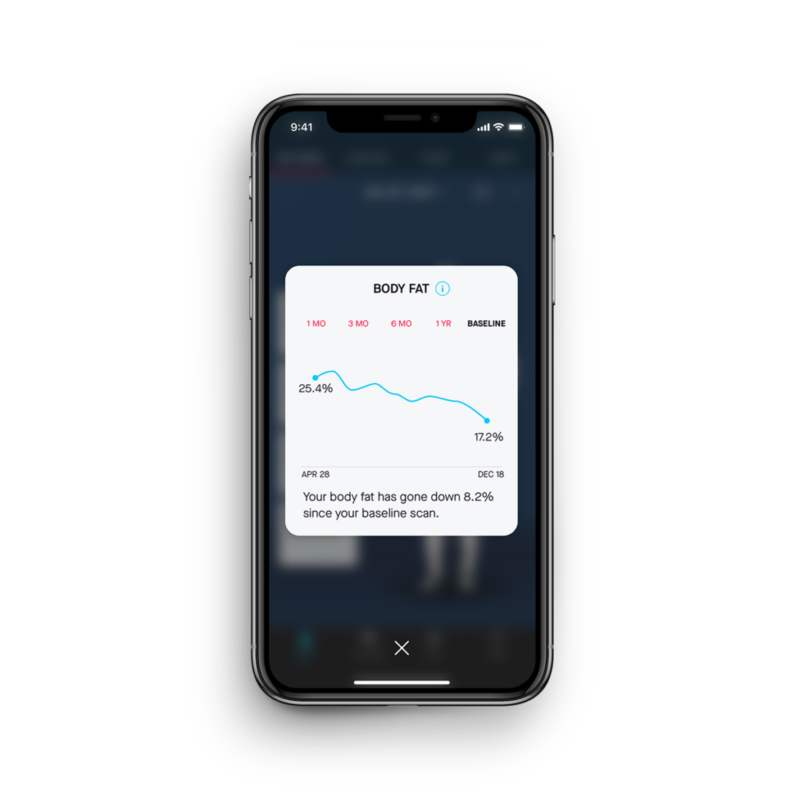 Schedule a scan whenever you feel like you've been making progress and want to see the data and metrics! Book with Your Scan Here! How Long Will My Scan Take? You can plan on being here for about 5-10 minutes, but the scan itself will only take about 30 seconds! 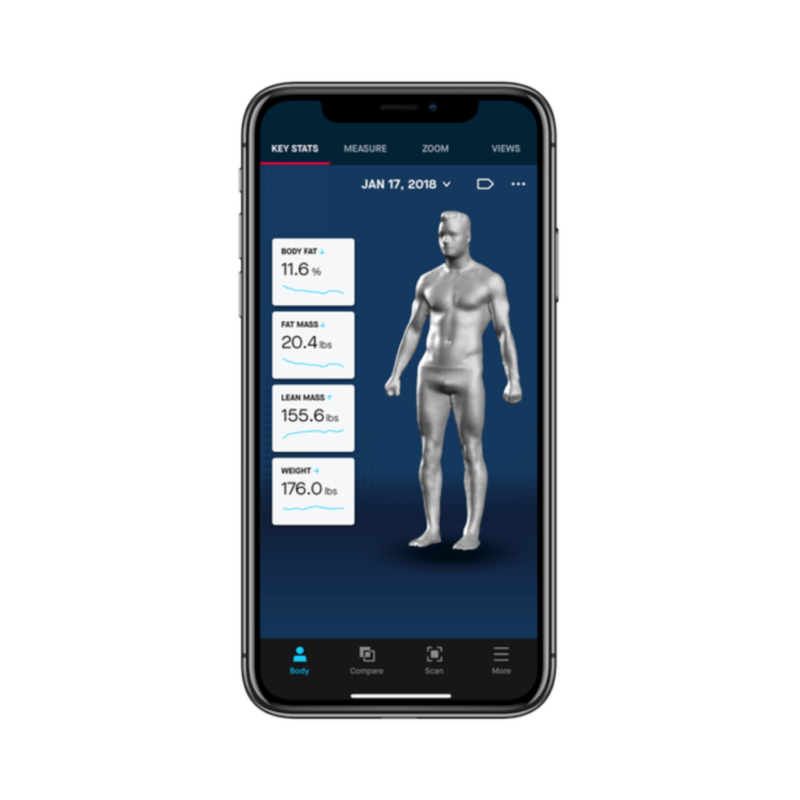 Do I Have to Remove My Clothes to Get Scanned? You’ll need to remove SOME clothing, but you can wear whatever you are comfortable with. For best results, we recommend underwear or compression shorts for men. Women can wear underwear or spandex and bra. Whatever is exposed is measured. Will Anyone Else See My Scan Images? How Often Do I Need to Get Scanned? 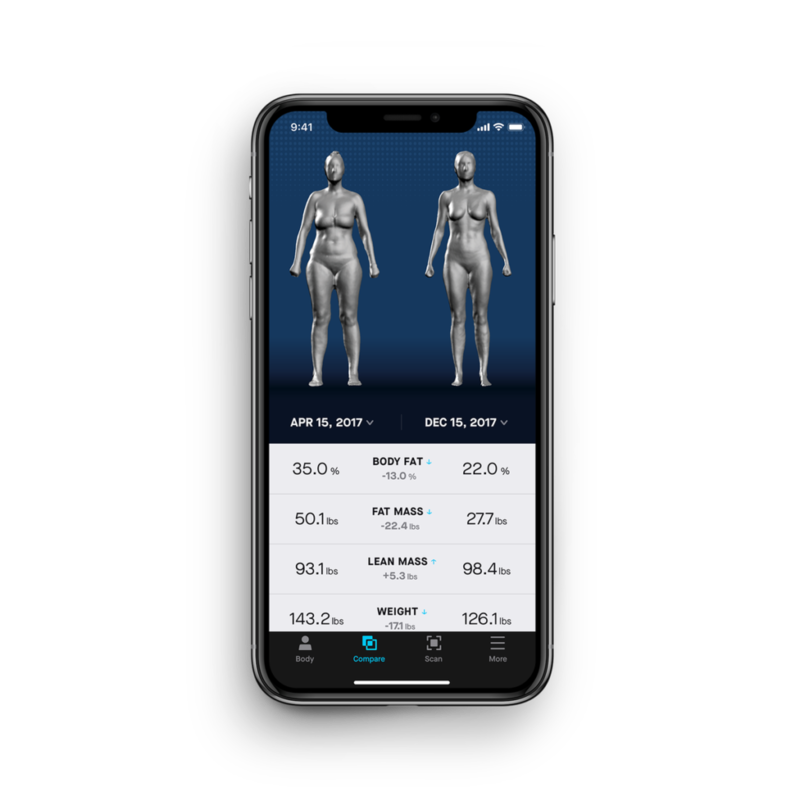 There’s no set rule for when to scan, but we recommend getting scanned between once a week and once a month while working along your fitness goals in order to capture changes in your body. 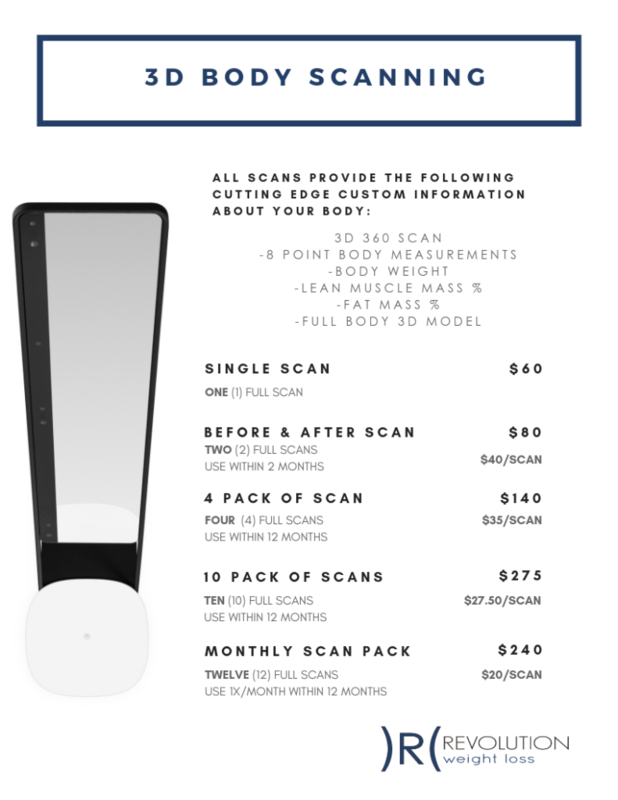 That being said, the more that you get scanned, the more insights we can provide you about your body. Our scale’s turntable can measure weights up to 330 lbs. The maximum user height is 6 foot 6 inches. The minimum user height is 3 feet 3 inches. How Accurate Are The Measurements? The 3D Scanner has a depth map accuracy of approximately 1/10 of an inch. 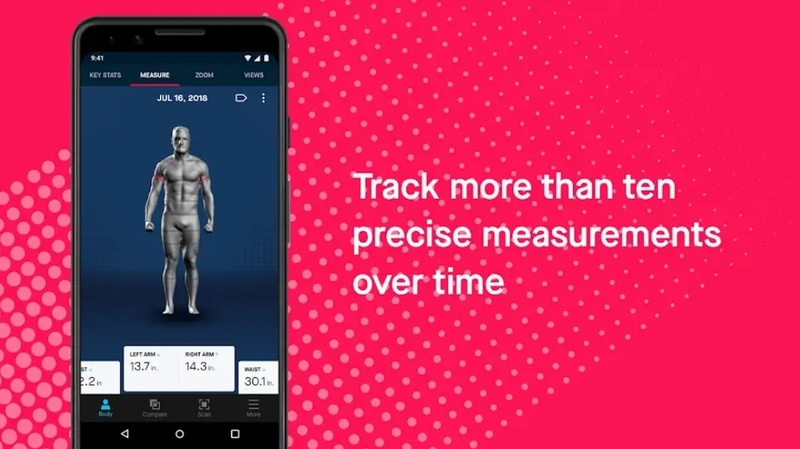 This translates to +/-15mm accuracy for large circumferences (waist, shoulders, etc.) and +/-5mm for small circumferences (biceps, calves).